Favourite Aircraft: Anything Low and Very Fast!! I remember seeing one of these Heavylift planes coming in to land at Sydenham some time ago. I`m sure the Ulster Aviation Society would love to have this aircraft in their collection. They turned down the offer of a Nimrod as it was too big,and the Shorts Belfast would be bigger again I believe. An old thread revival but I thought the topic appropriate. I'd always thought that the Belfasts went directly from 53 Sqn to form Heavylift in 1978, but have just learned that the winning bidder for the full set of ten aircraft in 1977 was actually Pan African Air Industries. They bid at least $2 million for each one but whilst the first three were at Manston for civvy conversion the deal seems to have fallen apart. I'll dig into it more tomorrow. Col Thomas D Robertson was one of the US gentlemen involved. The Green Beret guy?! The Pan African deal had flopped by August 1977 and the UK agent which had been appointed to handle the purchase, Eurolatin, stepped-in themselves and bought those three ( + spares ) to be put on the Liberian register, with options on the other seven. They then started looking around for potential operators. They approached Invicta at Manston, where the Belfasts were to be based on a special exemption, but eventually formed a 33 / 67% joint-venture with Cunard-Transmeridian called... TAC Heavylift. But that's not the end! TAC Heavylift didn't have an AOC so the aircraft were to be flown by Transmeridian. Just around then, however, that airline merged with IAS to form British Cargo Airlines. The latter quickly failed and went into receivership in March 1980. So TAC Heavylift had to obtain its own AOC, operating the Belfasts under a CAA dispensation until they were fitted with a stick-pusher designed by Smiths and installed by Marshalls. Fortunately Shorts had done a lot of the preliminary work for a CofA back in the 1960s. Meanwhile, when Eurolatin's purchase options on the other seven Belfasts lapsed in April 1978 those airframes were sold to Rolls-Royce for Tyne engine and parts recovery. Two were subsequently sold back to TAC Heavylift in 1980. Maintenance of the Belfasts was done by British Air Ferries at Southend and Heavylift occupied the former Transmeridian office at Stansted. One of the modifications by Heavylift was to half the bunking area to three beds and use the space to carry spare parts. Also once they had full CofA they were also able to fit 19 passenger seats in in the "minstrels' gallery", a section of upper decking aft of the cockpit. Are there any, as at 2017, airworthy or capable of being so? The last time I saw one was at Aldergrove in the early 1990's. I believe RP-C8020 ( cn SH.1819 ) was still intact but immobile in Cairns earlier this year. Of the candidates that might be the best as it was flying up until 2012 or '13. I noticed in a video today that the dear old Belslow has a Mach-meter calibrated up to 1.0 Such optimism! Worthy of a poster I think. And whilst it's in mind, second attachment is a photo I found years ago on the web of a 1:72 Belfast fuselage alongside that of a C-130H in the same scale*. Quite a difference! 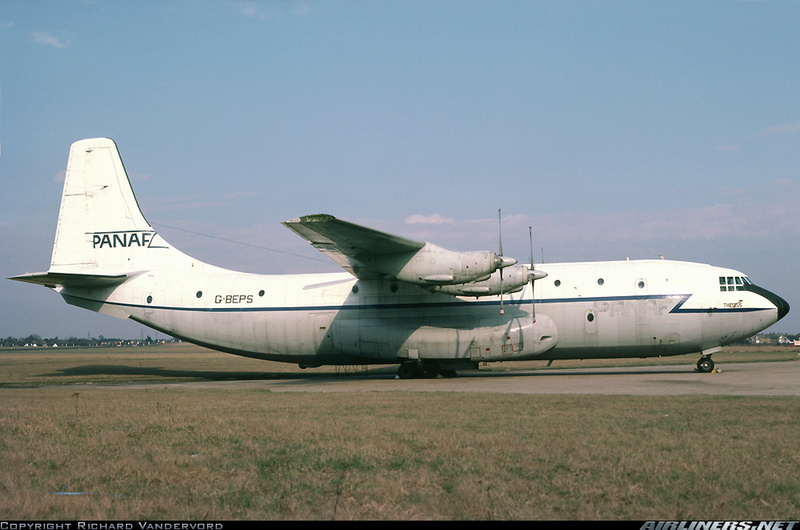 In the early 1980s Lockheed were proposing a super-stretched L-100-50, even longer than the -30, which would have competed with the Belfast in hauling pallets but not bulk goods. A friend of my dad worked for Heavy Lift,and he gave me some brochures on the Belfast and stickers,but I expect they have been chucked out years ago. Thanks for the updated information Smudge.